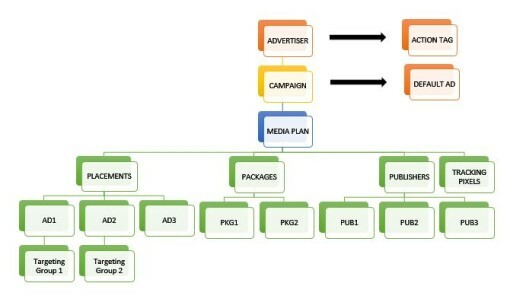 Atlas 2.0 is a Facebook advertising platform which was acquired from Microsoft in February 2013. It’s a modern ad server which serves ad not based on cookies but to the real people, Atlas 2.0 is completely revamped with a new interface and technology too. 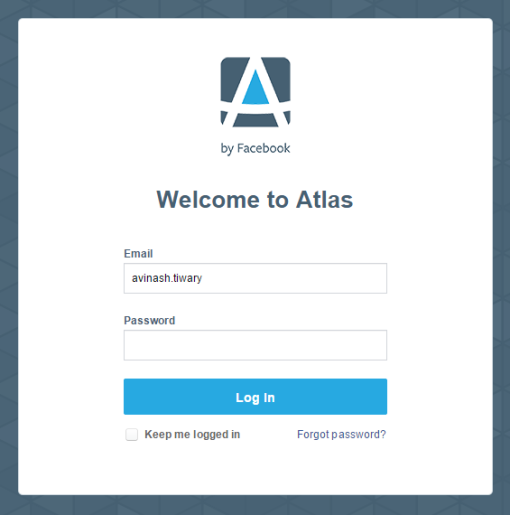 Let’s know Atlas 2.0 interface right from scratch to have a better understanding. This feature helps us to save our time and take us to the active and most frequently used campaign, report and advertiser. Using this we don’t have to traverse all the path to open the respective campaign, report or advertiser. *To see all the campaigns in your account please click on See All button highlighted in red above. This is where we see all the recent reports that has been worked on or downloaded. 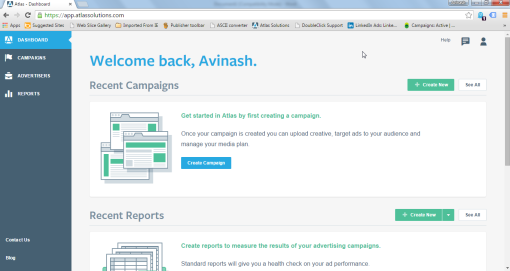 We also have a shortcut here to create new reports, just the way we have option to create new campaign. From here itself we have option to create all three kind of reports that atlas has, we will discuss about these reports in detailed later below. Also similarly we can see all the reports by clicking on See All button. The third feature that the dashboard has is recent advertisers where you see all your recent advertiser listed. You can click on any as per your requirement to directly get into the detailed information about the account. On the above you can see “EM_NA_United States_Xbox_Game_Title_Microsoft” advertiser which is one most recently visited. Again clicking on See All will take you to all the advertisers that you have for the account. still its in old content, please update new updated facebook trafficking details about power editor.